The 2019 Michener Lecture and Seminar, held Jan 20th at the Orlando Meetinghouse, was engaging, informative and thought-provoking. 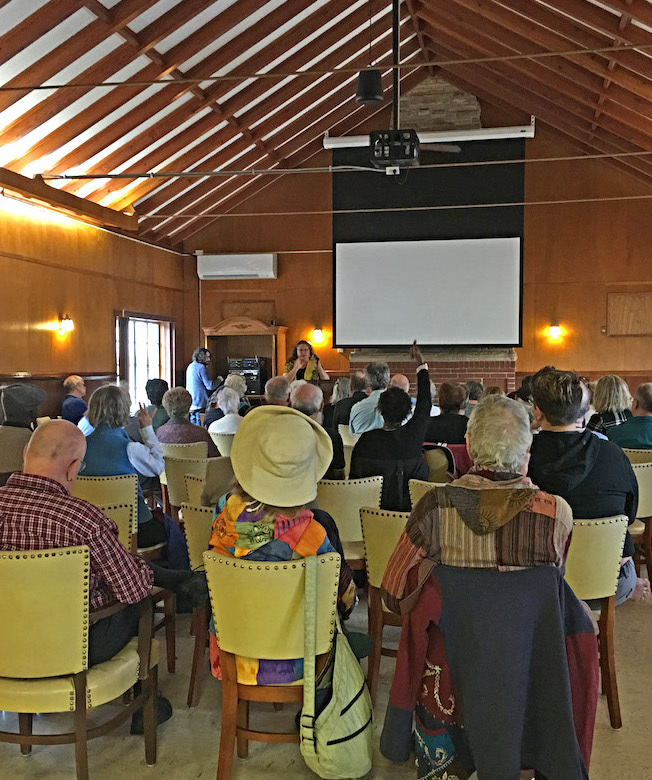 About 75 Friends attended the lecture, which was preceded by morning worship and an amazing lunch provided by Orlando Friends. 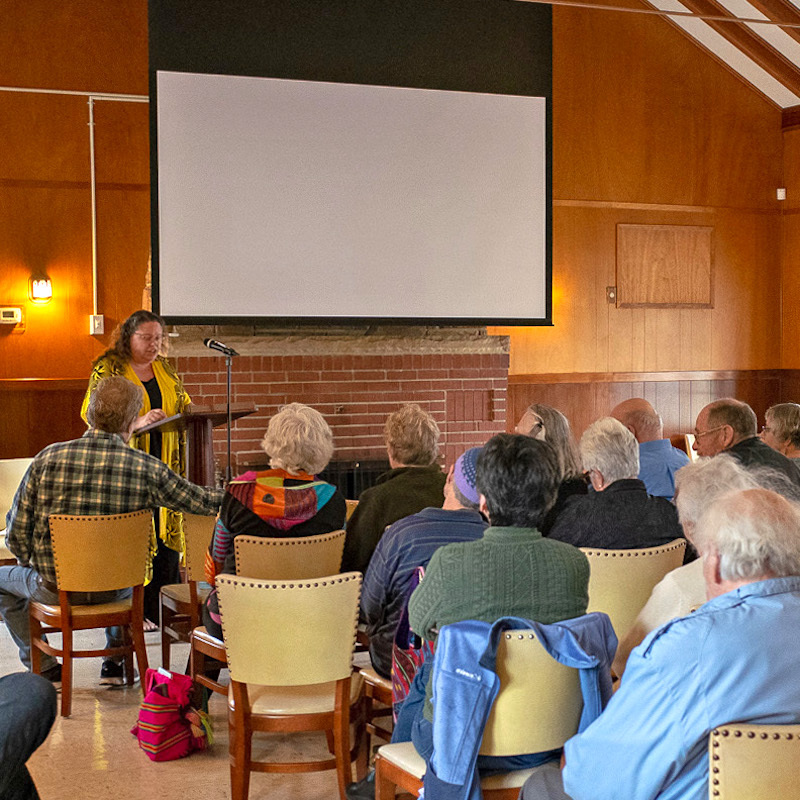 The lecture, “Good News to the Oppressed: Friends’ Witness in the 21st century,” was presented by Eden Grace, who spoke from her long experience doing Quaker mission and ministry work. 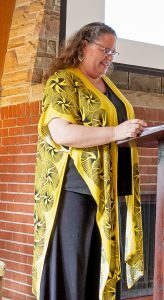 She served as FUM’s Field Officer in the Africa Ministries in Kisumu (Kenya) for 9 years, and has been FUM’s Global Ministries Director since 2013, where she is responsible for shepherding FUM’s programmatic work in 11 countries on 4 continents. Eden introduced Friends to “missiology” —the study of missions— and it was clear to Friends that lessons learned from the analysis of mission work would apply to any outreach or action we in SEYM might take to assist other groups. We learned that the history of Quaker missions, in this country as well as abroad, is complicated. While we have long rejected the coloniality, racism, and ultimately harmful ‘good intentions’ seen in missionary efforts of the past, we often overlook the ways in which Quaker missions had been progressive and prophetic. Eden shared examples of Quaker efforts that were unusually holistic and empowering for their time, such as FUM’s Kaimosi (Kenya) mission work in Africa in the early 1900s, which brought education (which included girls), medical facilities, agriculture, industry, and jobs that paid a living wage, all in context of a self-governing community. via negativa: the way of suffering, of being heartbroken by the suffering and injustice in the world. The lecture was an engaging learning experience. Friends can look forward to its publication later this year. The Michener Seminar following the lecture was a lively, interactive discussion. Eden showed a few short videos; some were parodies of charity work (produced by RadiAid), and others videos were of real projects. We discussed how they depicted either harmful approaches to missions —such as coloniality and exploitation—or positive examples of charity work that is grounded in the humanity and empowerment of the people they are trying to help. Click on a photo to see slide show.